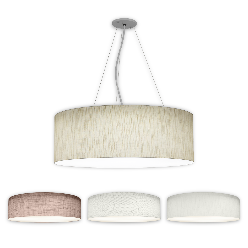 The 2662 LED features a one-piece tapered drum which is offered in three different sizes and two acrylic-backed fabric options. The base (bottom) of the drum is constructed of high transmission matte-white acrylic, providing optimal light distribution and performance. Two suspension options to choose from with extension kits available for high ceilings and staggered drops. The top of the drum is fully covered by the LED assembly to minimize debris entry. Given the size range, this unit is ideal for commercial lobbies and common areas, open office layouts, conference rooms, break rooms, and more. Bowl makeover: modernized suspension systems, shallower diffusers, improved LED lumen packages, lower pricing...this series offers a balance between traditional and contemporary, making it perfect for a variety of spaces from lobbies and entryways to foyers and corridors in applications such as libraries, schools, hotels, museums and more. 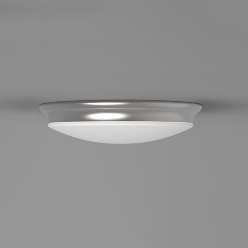 Each model in the series provides a generous amount of indirect uplight in addition to downlight. 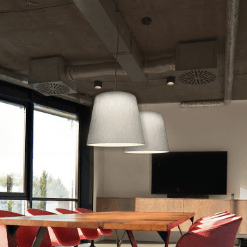 Modern profiles and dual distribution LED performance make the 1572 and 1570 a decorative solution for common areas and corridors in commercial offices, hotels and residential spaces. The 1572 features a smooth arced profile with vertically mirrored bows, while the 1570 features a unique angular form factor. Both units are constructed with acrylic top and bottom covers to protect the light source. Frame is standard in Brushed Nickel with optional finishes available. 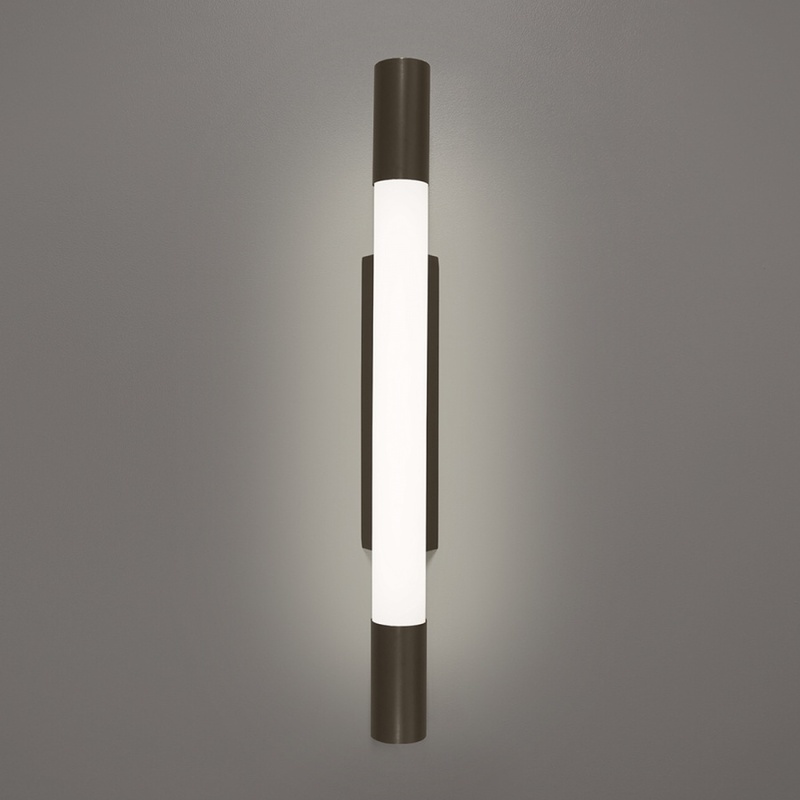 Clean, contemporary and versatile: the 1575 LED encompasses three low profile ADA compliant sizes, dual direction (1575-D) or single direction (1575-S) LED distribution, rocker switch availability and a variety of finishes to choose from. This unit features acrylic top and bottom covers which can be wiped down if needed. The 73900 LED is a low-profile canopy fixture constructed of heavy duty cast aluminum with a sturdy polycarbonate optical diffuser. 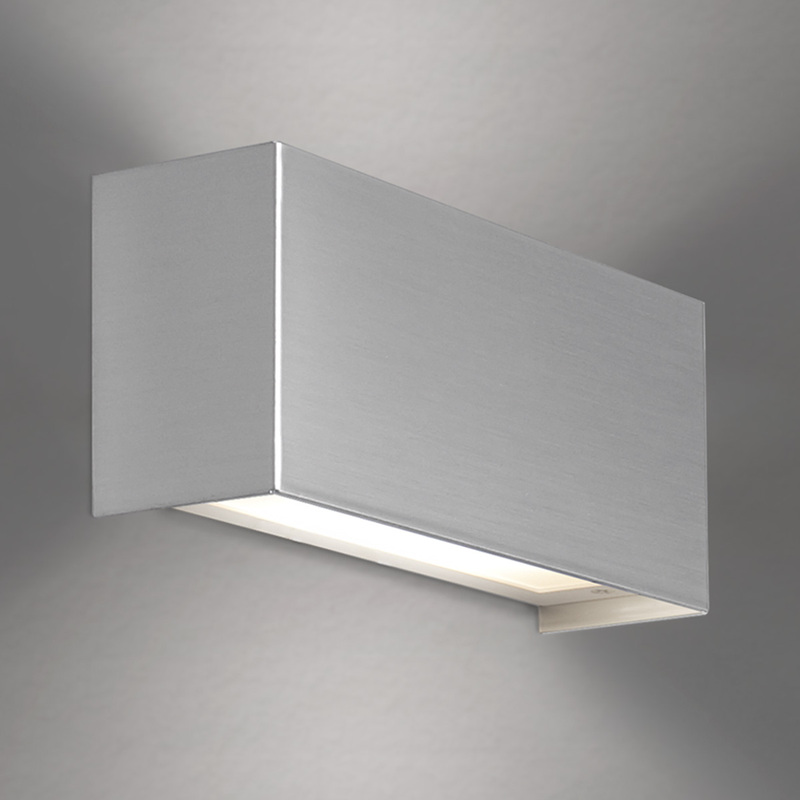 This high performance LED unit is offered in two sizes (10" sq., 14" sq.) 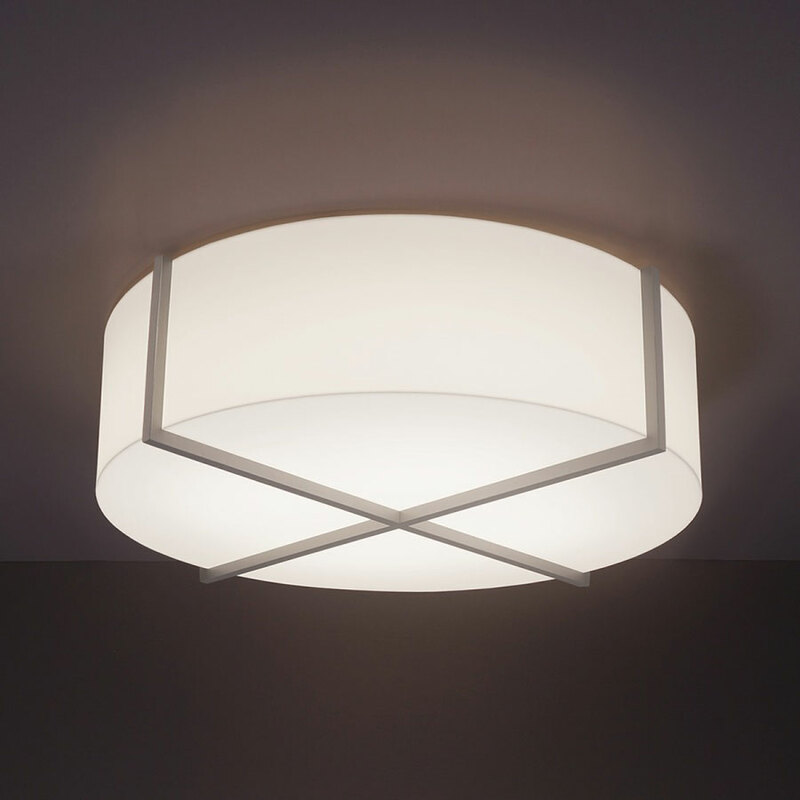 and can be both surface and pendant mounted. The 10" size features a widespread distribution intended for parking garages while the 14" size features a more powerful, direct cone of light. Specification-grade performance, budget-friendly pricing, DLC qualified. Decorative + Durable. Get the best of both worlds with the new 7162 LED outdoor canopy. Construction: impact resistant polycarbonate diffuser, marine grade die cast aluminum housing, tamper resistant stainless steel hardware. This versatile unit can be used in a variety of applications such as covered walkways, corridors, stairwells, parking garages, commercial restrooms and more. It also serves as a decorative, yet durable solution for vandal prone applications such as schools and student housing. Ceiling or wall mount. Battery backup optional. 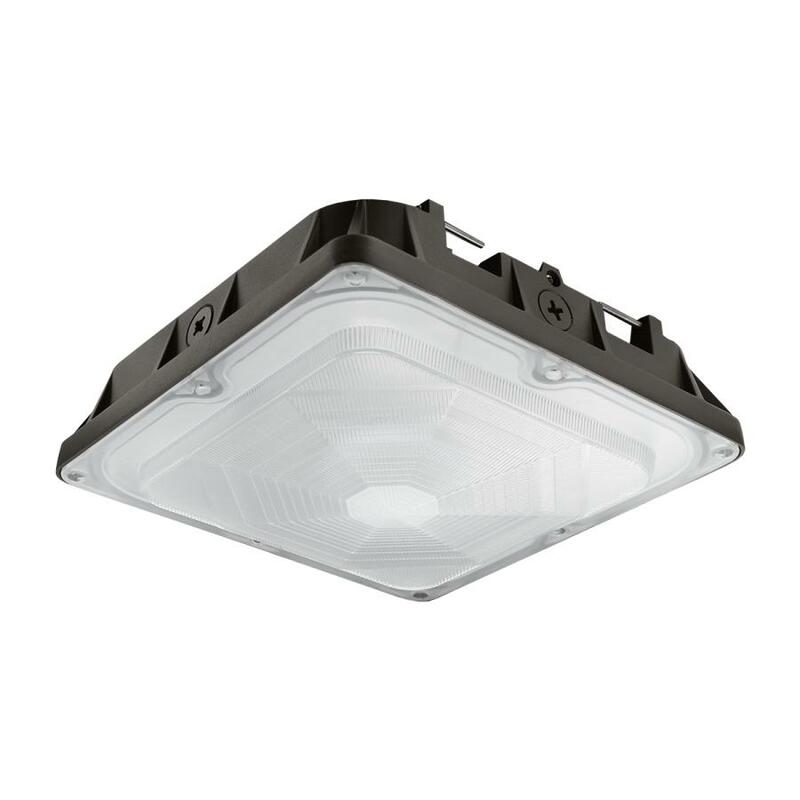 The 79001 and 79005 LED are medium size wall packs constructed of die-cast aluminum. 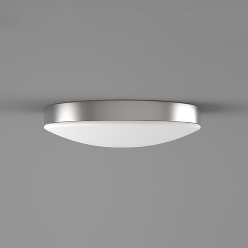 The 79001 utilizes a sturdy borosilicate glass diffuser designed to maximize light output, while the 79005 features a full cutoff design with a polycarbonate diffuser and built-in optics designed to spread light for maximum coverage. Specification-grade performance, budget-friendly pricing, DLC qualified. 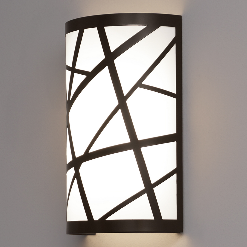 All new decorative interior LED sconces. 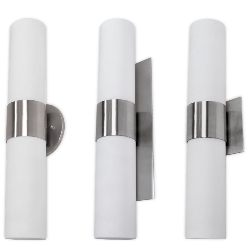 This series features minimal yet unique form factors which are ADA compliant and perfect for any upscale commercial or residential application. Construction: Smooth opal white glass, architectural cast aluminum trim. One-piece diffuser is formed with a closed top. Trim is standard in Brushed Nickel with optional finishes to choose from. Superior to a corncob retrofit at a price far less than most dedicated LED post tops. Perfect for LED upgrades and VE opportunities. Each model utilizes Brownlee’s proprietary LED tower platform, consisting of dedicated LED boards and drivers that can be serviced in the field. Specification grade LED modules are positioned at a downward angle to maximize illumination on the ground and general area, while minimizing wasted up-light. Surge protection optional. The 2326 and 2616 are available in four sizes with plenty of lumen packages and options to choose from. The one-piece drum is constructed of a matte white acrylic outer shell with a flat, inset diffuser opening. Woven Black (WBK) is also available as a standard fabric offering. 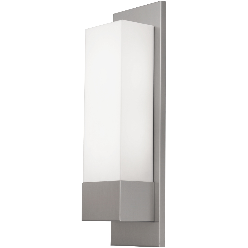 BEAM LED (Model #: 7176) is a wet location rated product featuring a modern, architectural aesthetic that can be utilized in a variety of applications. 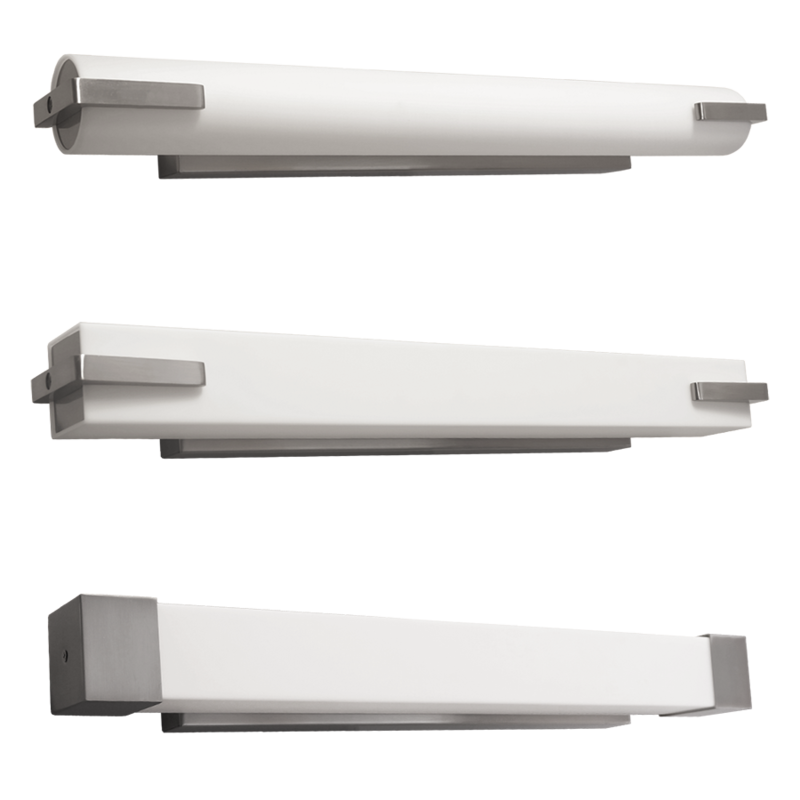 While intended for decorative exterior facades, it is also ideal for commercial interiors, bathrooms, healthcare (sealed) and even stairwells (available with integral battery backup). 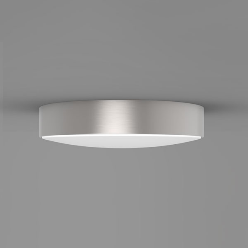 Heavy duty aluminum construction, perfectly illuminated white acrylic diffuser, tamper resistant stainless steel hardware, dedicated 120-277V LED components - commercial-grade all the way around. 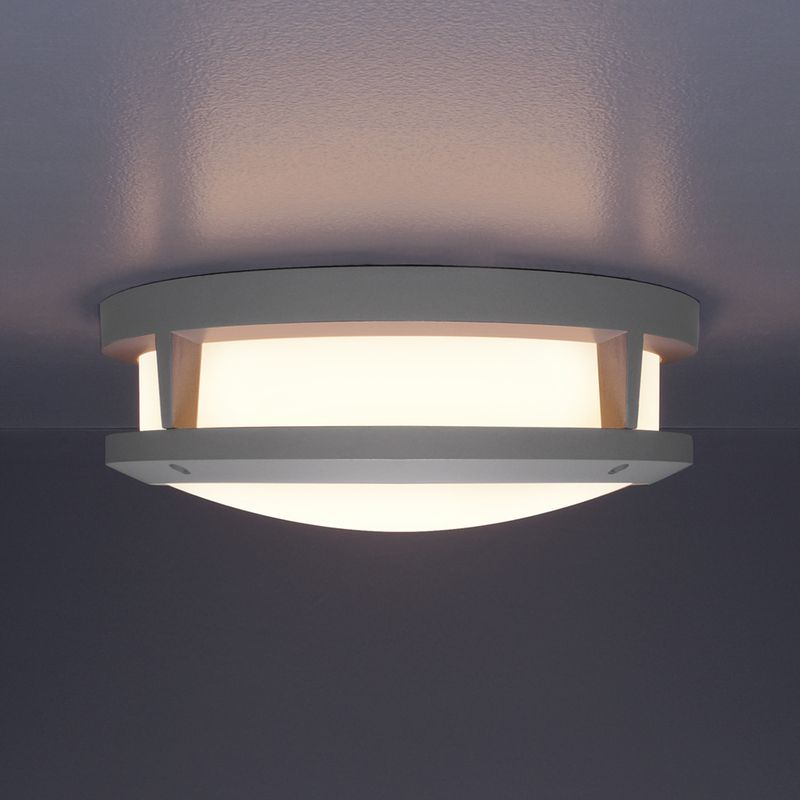 The 2341 (flush mount) and 2601 (pendant) are an extension of the 2600 and 2340 series. 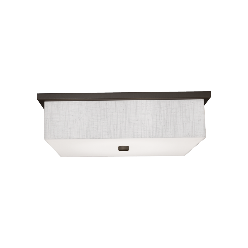 These units feature a matte-white acrylic drum with a modern crossbar constructed of maple wood, which is offered in your choice of a clear coated Natural finish, a Walnut Stain finish and a variety of our standard painted finishes. 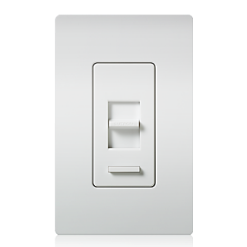 The 2341 is offered with a variety of options such as Integral Battery Backup and Bi-Level Dimming, while the 2601 features four different suspension methods to add appeal to any decor. Sizes vary by model. 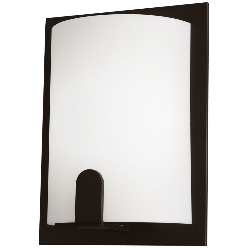 This specification-grade vanity collection features slim, minimalist designs which can be mounted horizontally over a mirror or vertically as a sconce. 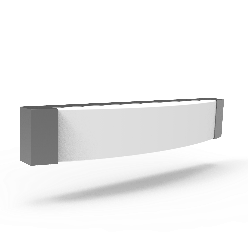 Diffuser is constructed of stout, matte-white acrylic and is offered in both round and square extrusion styles with three sizes to choose from. Housing and end caps are standard in Brushed Nickel with optional finishes available. 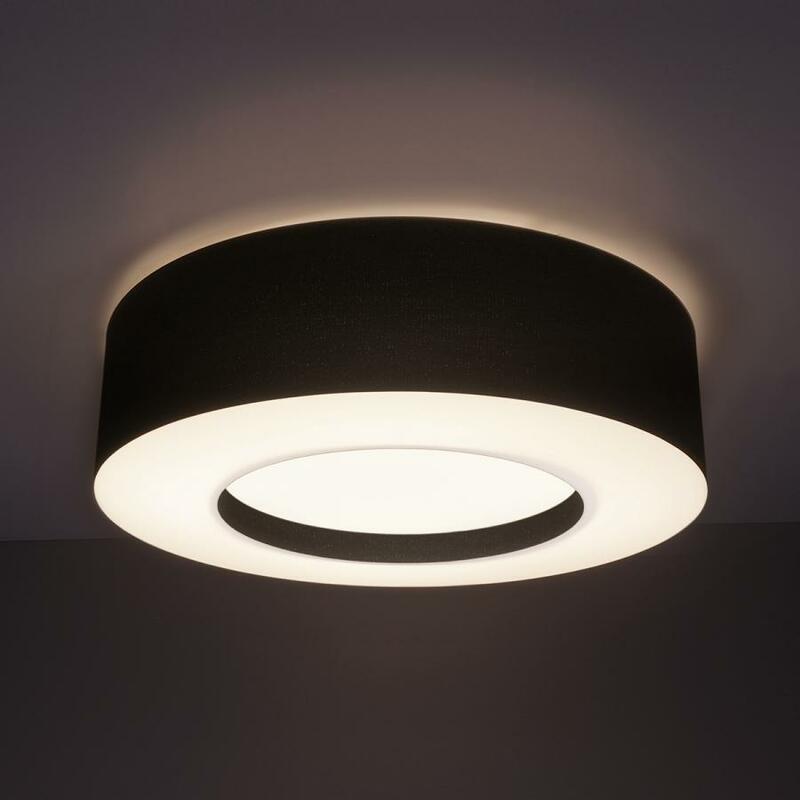 All models are 120-277V and include 0-10V dimming as standard. 90 CRI option available. Need to comply with Title 24 standards? Use Brownlee's new optional ordering code: T24. Models ordered with T24 will automatically include 90+ CRI LED’s, 0-10V dimming, 2016 JA8 High Efficacy compliant fixture labeling and a variety of other electrical characteristics which have been approved by the California Energy Commission. Availability varies by model and SKU. Note that this option is currently available in 3000K only. 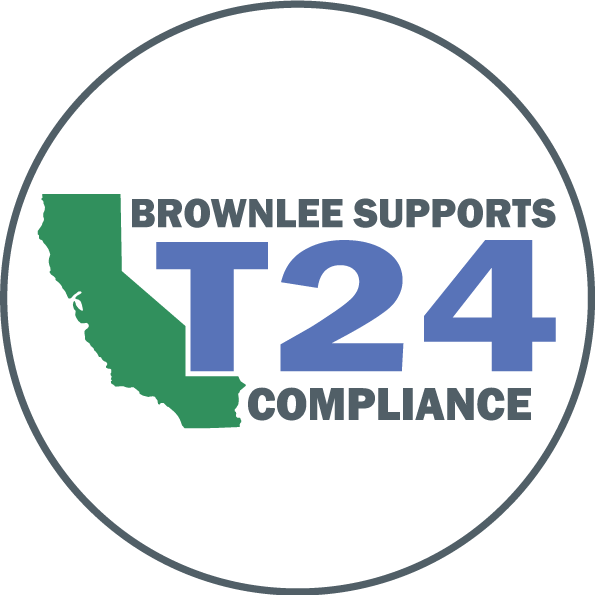 To locate our T24 offering, visit Brownlee.com and sort by TITLE 24 COMPLIANT under the Products tab. Integral Battery Backup (BBI) and Cold Weather Battery Backup (BBIC) options are now available on the 7600 Series! This decorative emergency solution is perfect for building facades, breezeways, paths of egress and stairwells in a variety of applications. Available models: 7600, 7601, 7602, 7604, 7612 & 7614. BBI Minimum Operating Temperature: 50°F/10°C. BBIC Minimum Operating Temperature: -4°F/-20°C. 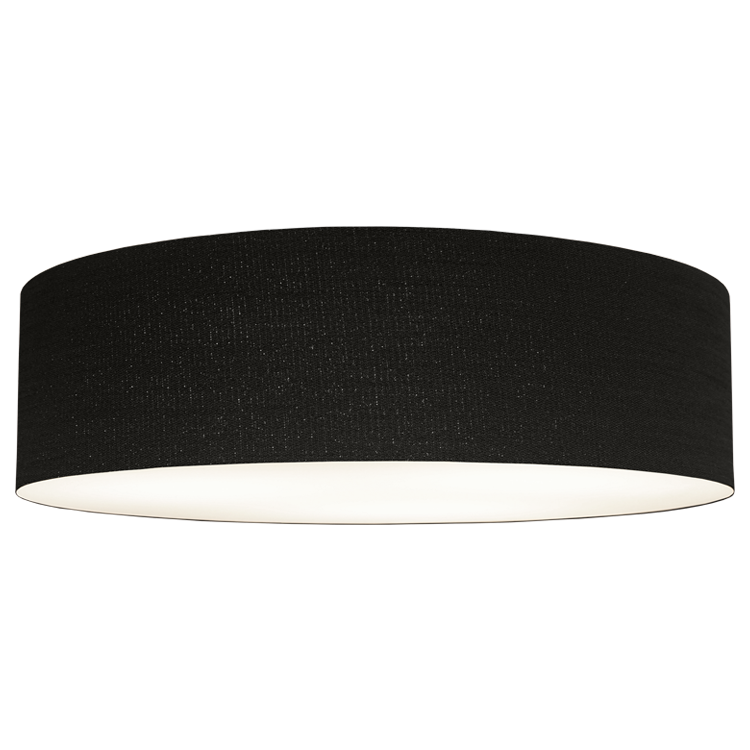 WOVEN BLACK (WBK) IS NOW AVAILABLE ON THE 2340 FLUSH MOUNT & 2600 PENDANT SERIES. THE DRUM IS CONSTRUCTED OF HIGH QUALITY WHITE ACRYLIC WITH FABRIC BONDED TO ITS EXTERIOR. THIS PROCESS RESULTS IN CLEAN, SHARP, CONTINUOUS EDGES (NO FRAY). THE BASE (BOTTOM) OF THE DRUM IS CONSTRUCTED WITH HIGH TRANSMISSION WHITE ACRYLIC FOR MAXIMUM EFFICIENCY. THE DRUM CAN BE CLEANED WITH A DAMP CLOTH AND MILD DETERGENT. PERFORMANCE: WOVEN BLACK IS A TIGHTLY WOVEN FABRIC WHICH IS NOT AS TRANSLUCENT AS OUR “LINEN” SERIES. THE FABRIC SIDEWALL DOES CAST A SUBTLE GLOW, BUT FORCES MOST LIGHT DOWNWARD THROUGH THE BOTTOM OF THE DRUM. NOTE THAT WBK AFFECTS PHOTOMETRICS – WE WILL HAVE UPDATED FILES FOR THIS OPTION SOON. CONTACT THE FACTORY FOR SAMPLE SWATCHES. 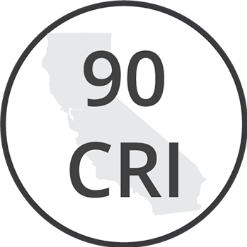 BROWNLEE LIGHTING IS PLEASED TO INTRODUCE 90 CRI AS AN OPTION TO OUR LED PRODUCT OFFERING IN SELECT WATTAGES AND COLOR TEMPERATURES. REFER TO SPECIFICATION SHEETS FOR AVAILABILITY. NOTE THAT 90 CRI AFFECTS LUMEN OUTPUT – CALCULATED PERFORMANCE DATA WILL BE ADDED TO THE LED DATA PORTION OF THE WEBSITE UPON COMPLETION. CONTACT FACTORY IF NEEDED SOONER. TRIAC (LINE VOLTAGE) DIMMING IS NOW AVAILABLE ON SELECT PRODUCTS AND WATTAGES. REFER TO SPECIFICATION SHEETS FOR AVAILABILITY. 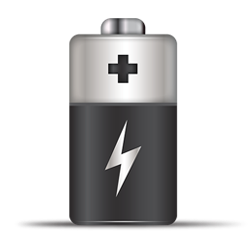 CONTACT FACTORY FOR LEAD TIMES – COULD VARY BASED ON WATTAGE. ORDERING CODE: DTR. THE 1392 LED IS ADA COMPLIANT AND AVAILABLE WITH INTEGRAL BATTERY BACKUP FOR USE IN CORRIDORS. PERFORATED TOP AND BOTTOM COVER OPTIONAL. OFFERED IN ALL BROWNLEE PAINT FINISHES AS STANDARD. CUSTOM FINISHES AVAILABLE. USE ORDERING CODE “ES” FOR ENERGY STAR. DIMENSIONS: 13"l x 8"w x 4"d.
THE 1387 LED IS ADA COMPLIANT AND AVAILABLE WITH INTEGRAL BATTERY BACKUP FOR USE IN CORRIDORS. OFFERED IN ALL BROWNLEE PAINT FINISHES AS STANDARD. CUSTOM FINISHES AVAILABLE. USE ORDERING CODE “ES” FOR ENERGY STAR. 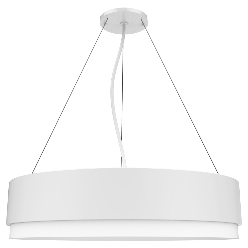 DIMENSIONS: 11"l x 10"w x 4"d.
THE ALL NEW 2681 LED PENDANT FEATURES A SMOOTH STEEL SPINNING, THREE HIGH TRANSMISSION WHITE ACRYLIC DIFFUSER OPTIONS AND A FIELD ADJUSTABLE SUSPENSION KIT. 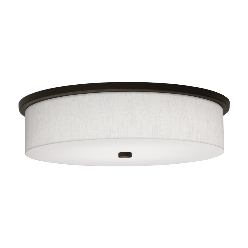 PAIR THIS WITH THE COORDINATING 2081 LED FLUSH MOUNT. TWO SIZES: 15" & 19" DIA. SHARP ANGLES, EVEN ILLUMINATION. THE 1345 LED HAS THE SCALE FOR COMMERCIAL APPLICATIONS WITH A PRICE POINT FOR MULTIFAMILY PACKAGES. ADA. DIMENSIONS: 19”l x 6”w x 4”d. 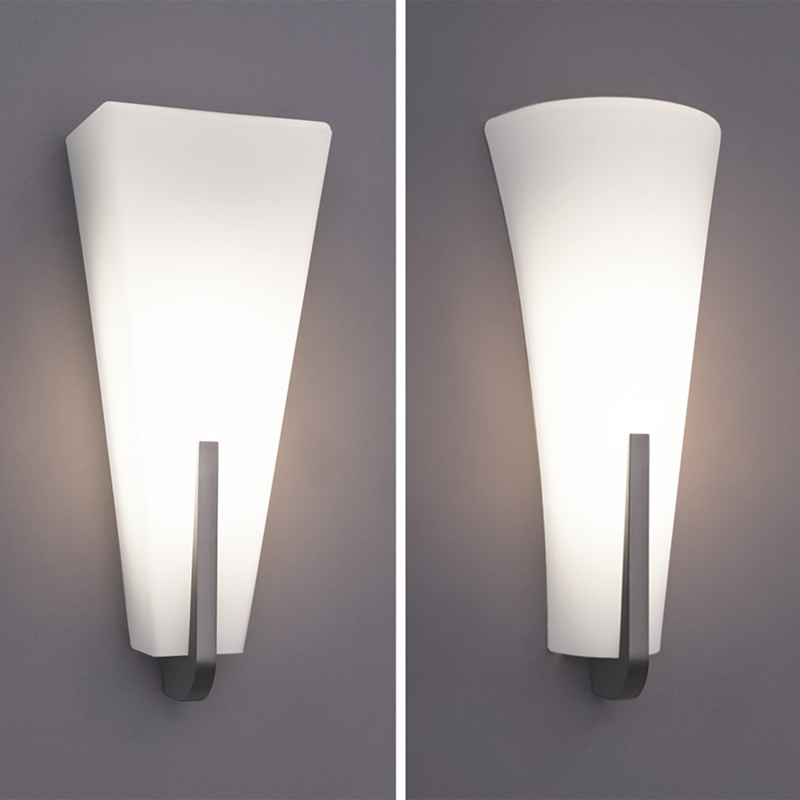 USE THIS COMPETITIVELY PRICED ADA SCONCE ON YOUR NEXT CORRIDOR SPEC OR RETROFIT. 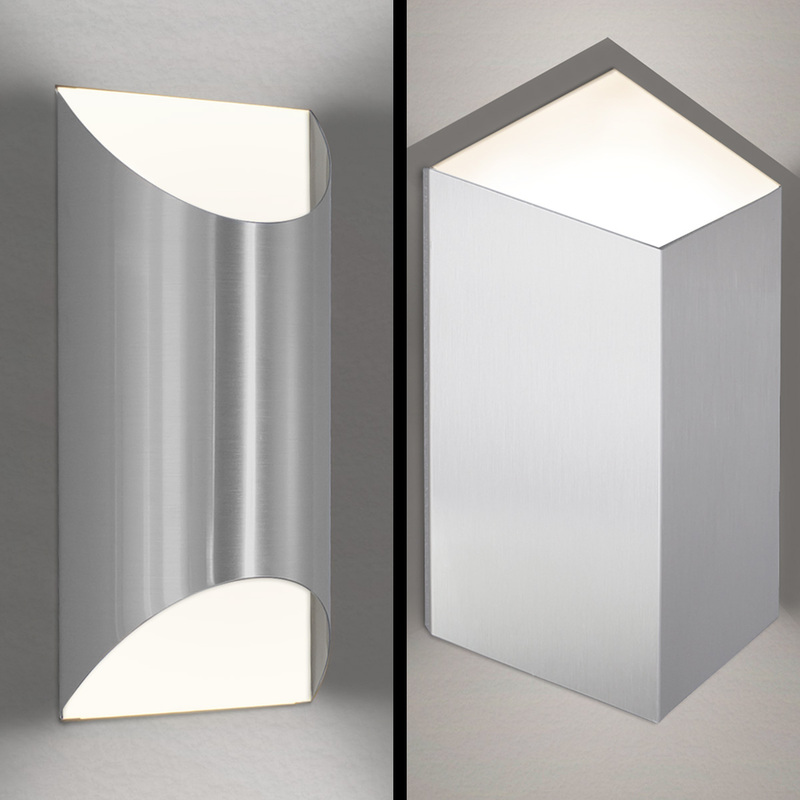 DIMENSIONS: 13"l x 10"w x 4"d.
THE 1476, 1486 & 1496 ARE NOW AVAILABLE IN GU24 BASE LED. 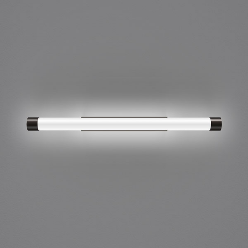 THESE WHITE OPAL GLASS CYLINDERS CAN BE MOUNTED VERTICALLY OR HORIZONTALLY. NOT RECOMMENDED FOR 24 HOUR BURN. NEW FINISH OPTION: WHITE ACRYLIC (WA) NOW AVAILABLE IN ALL SIZES. UPGRADED B-BOARDS! 6 WATTS OF EFFICIENCY! 4000K: 698 LUMENS (114 LM/W). 3500K: 698 LUMENS (114 LM/W). 3000K: 676 LUMENS (111 LM/W). 2700K: 622 LUMENS (102 LM/W). 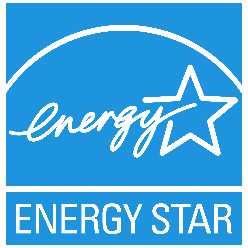 USE ORDERING CODE "ES" FOR ENERGY STAR. WHITE LINEN AND WHITE ACRYLIC DIFFUSER OPTIONS. PERFECT FOR MULTIFAMILY UNITS/CORRIDORS. CONTEMPORARY CURVED BATH BAR. 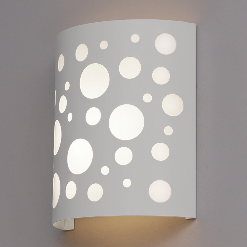 CAN ALSO BE MOUNTED VERTICALLY AS A WALL SCONCE (ADA COMPLIANT).